Check out some of our most popular teachers near Dobbin, TX including Houston, Spring, Katy, Cypress and Tomball. Whether you're just starting out, wanting to learn Led Zeppelin, Foo Fighters, or even Taylor Swift repertoire, maybe you're preparing for band or college auditions, or just simply looking to broaden your playing with different styles like jazz, latin, etc., I am here to guide you and help you develop the necessary skills! I have been teaching drumset for over 15 years. My lessons focus on applying technique and reading, with snare reading exercises and learning popular songs. Lessons will adjust according to the student's level, pace, and goals. As a Beginners course, this is suitable for complete beginners who have never played drums before. Its also helpful for self-taught drummers who want to go through all the basics and fill in any gaps in their playing and improve their technique. Learn the drum part to a slow song of their choice. My name is Luis, and I am very interested in inspiring everyone to learn drums. This includes drumset, concert and marching snare drum, concert percussion, Latin percussion (congas, bongos, timbales etc), and marimba (xylophone,bells etc). I look forward to teaching you! My main goal is to help my students to become fully functioning drummers with a very strong grasp on their instrument! Luis did an amazing job with my son. My son struggles with focusing and attention, and Luis was a perfect fit for him. He really worked hard with him over the course of a year + to prepare him for Lavilla auditions. I can confidently say that without Luis's help, my son wouldn't have passed his audition with flying colors and get to attend such an amazing band program at a great school. We are eternally thankful for his help! Very thorough and friendly. Great motivator when I was overwhelmed and nervous. I don't think there is anything Lois couldn't help me achieve. The lesson was great and Luis did a fantastic job. My son really enjoyed the experience. He is 8 years old, and Luis was a good choice for a children's instructor. As a drummer/percussionist of 18 years, I have experience in styles including rock, pop, jazz, classical, and more. Together we will develop a solid sense of groove & rhythm by studying rudiments, improvisation, music theory, and more. We will also spend time working on music that you personally love! At my studio, I have a drum kit and vibraphone, among other instruments. Whether you are starting from the very beginning or have been playing for a while, I’d love to work with you! •Welcomes students of any age, gender ID, ethnicity, experience, etc. Hi! My name is Robby and I am a drummer/percussionist based in Brooklyn. Since the age of fourteen, I have been teaching students in both recreational and career-focused contexts. Playing music is the most rewarding part of my life, and sharing that fulfillment with others is extremely important to me. I prioritize humor, empathy, and patience as crucial elements of music making. ch student in developing techniques and routines that best suite their individual goals. My musical knowledge includes rock, pop, hip-hop, classical, jazz, electronic, and almost any other genre. I am an active performer in the city and have a wealth of experience to draw from. I am co-founder of an avant-dream band called Boio (with Finnegan Shanahan) and drummer of The Roofer’s Union. I also frequently play with projects like Alpenglow, Contemporaneous, Alpenglow, Abbi Press, Goldfeather, and Echo Chamber, among other freelance gigs in the NY area. As a contemporary percussionist, I have worked with renowned artists like John Corigliano, Pascal Le Boeuf, Martin Creed, So Percussion, Jerek Bischoff, and more. Some of my performance highlights include appearances at Carnegie Hall, Lincoln Center, PASIC, The Massachusetts Museum of Contemporary Art, Park Avenue Armory, National Sawdust, Elsewhere (Hall), and EMPAC. I can teach out of my studio in Downtown Brooklyn, online, or I am happy to meet you for lessons elsewhere if you have your own location with the instruments we need. I can teach drumset, classical & orchestral percussion, keyboard mallet instruments, early piano, and techniques in Ableton Live, Logic Pro, Pro Tools, and Garageband music softwares. Whether you have no musical experience or have been practicing for a while, I am happy to work with you and figure out how to best reach your full musical potential. I look forward to meeting you! Robby’s great. It’s more than just practing from a book, Robby takes the time to discuss the nuances of percussion conceptually. Robby was an amazing teacher!!! I can't recommend him enough. His lessons on Logic Pro were incredibly straightforward and useful, and have been crucial for me as I continue to use the program. He is patient, kind, and has an enthusiasm for music that is unmatched. If you want to learn about Logic Pro, or music in general, you should look no further than Robby Bowen!! I'm a full time touring musician, I studied music in school for 8 years, but I can honestly say I've learned more about music through my years as a touring musician. I find great joy in sharing all the things I've learned over the years. I like getting to know my students; their expectations and goals as an aspiring drummer, and I build my curriculum around their needs. In my lessons you can expect to learn, and have fun! Have you always wanted to play the drums? Do you want to jam along your favorite tracks or play live with a band? I will teach you or your child all of the knowledge and tools needed to do whatever your dream is on your instrument. My goal is to help every student achieve their goals on their instrument. My methods are relaxed and patient, an environment that promotes a love of music! My lessons are not the same for everyone. I like to get to know my students; music goals and learning style, and I build my curriculum around that information. I am a full time touring, recording musician who lives in Nashville TN. I graduated with a Bachelor of Music degree in Performance from Roberts Wesleyan College. In 2016 I moved to Nashville, after 4 months of working with anyone and everyone, I decided to find a band I that I could call my own. Leading me to this moment, where I am currently on tour with my band, The Foxies, and perform with and MD for two other artist based out of Nashville. I have Performed at Warped Tour, Sundance, SXSW, Bonaroo, Nashvilles-Live on the Green. Of all my year's of formal education, I can confidently say my time as a student under Rob was perhaps the most significant. He demonstrated a tremendous amount of patience, and genuine care into my development, and took me from a guy who was VERY rough on the drums to a proficiency level. On top of building the physical mechanics and techniques to become a drummer, Rob put even more emphasis on how I internalized, felt, and heard the music. Each lesson focus was equally weighted with theory, practical use, real-time listening, and execution - developing all my senses and slowly building my foundation so I could take the material and know how to grow upon it outside of the lesson room. Lessons with Rob is more than learning a cool fill, or a fun groove - even though those do happen - but it is learning how to become a musician, and I'll carry the lessons learned from him with me forever. I love teaching a balance of having fun on drums with building technique and knowledge to deepen and mature the fun as the student grows. Any style of music is covered, what do YOU want to play? At the same time, a solid grounding in the fundamentals is a focus, to give the student an unlimited creative palette to draw from. Experienced drummer who's been playing for over 13 years. I specialize in teaching beginners and intermediate drummers. Drumming is my passion and I'm ready to make it your passion. It is the coolest instrument after all ;). I still remember the first day when I took drum lessons at the age of 12. It was definitely one of the best days of my life and something I am grateful for to this day. That decision to get lessons has opened so many doors in my career as a drummer. If you like pop, rock, funk, soul, r&b, hip-hop, latin, christian contemporary, and basically any genre with a cool beat then I'm your guy. You're on this page for a reason because you have finally took the step to consider taking drum lessons. 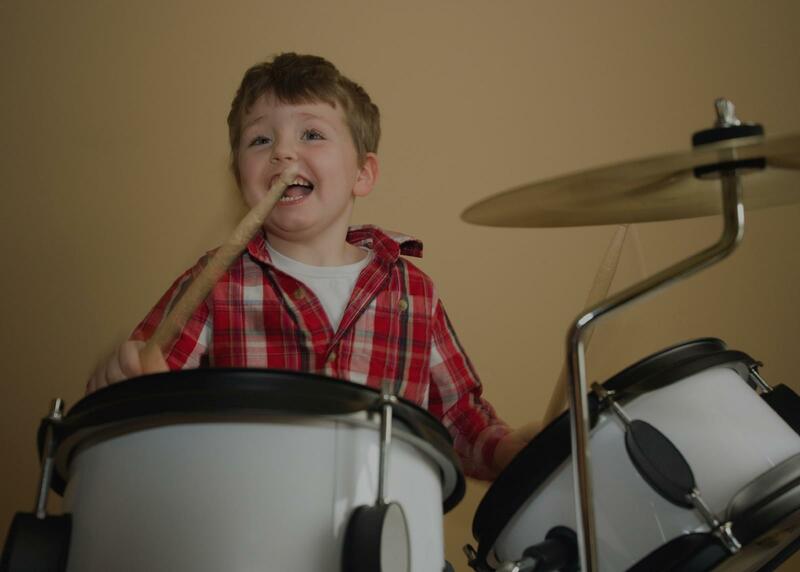 If you are ready to learn how to play drums then sign up today and lets get drumming! Hi my name is Ernie. I'm a professional drummer who has been playing drums for over 13 years. I have a Associates degree in music performance from Citrus college and a bachelors degree in Business management from Azusa Pacific University. I specialize in teaching beginner and intermediate students. Potential students can look forward to learning pop, rock, funk, r&b, hip-hop, christian contemporary and any other music styles that interest you. We will go over technique, fundamentals, set-up, dynamics, control, drum notation, and of course playing on the drum kit! I'm really passionate about my instrument and love to share what I've learned with others who are just as passionate. If you are ready to start learning then sign up today! Can't find a teacher in Dobbin, TX? "Jeremiah is a great teacher! I like that he takes his time to explain everything to my son in a way it makes sense to him. He's caring and patient." Houston, TX teacher: Jeremiah L.
perfect. Best drum teacher ever period." "Awesome teacher! Our son's first lesson, made it fun and inspired him to want more. He cant wait to go back!" "He has methodological teaching and is nice to the student." "Great first lesson! I can see myself continuing lessons with Rachel." "Ben (8) loved his first drum lesson. He says 30 minutes was way too short. We're excited to go forward with the rest of his lessons"
"An excellent teacher who takes the time to teach practical skills and techniques that can be used in an array of situations."